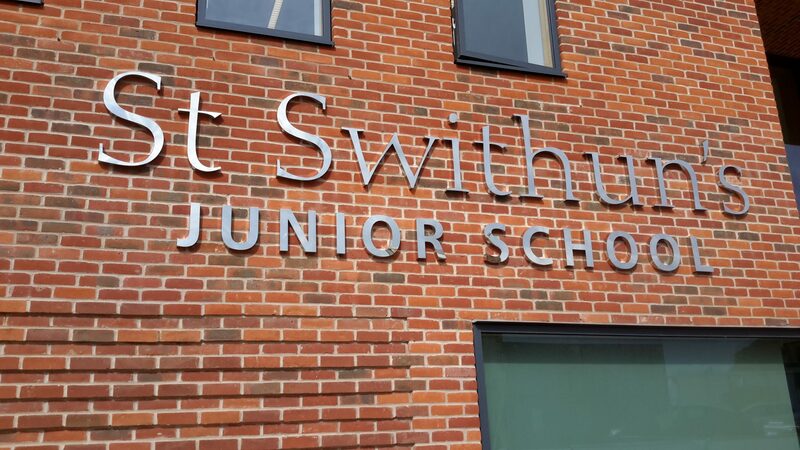 This project involved a part-refurbishment of the prestigious boarding school, St Swithuns. Situated in Winchester and surrounded by an impressive campus of 45 acres, the academic building also overlooks the Hampshire downs. The project consisted of the creation of a new kitchen and classrooms, plus the refurbishment of older facilities. These significant changes were made in order to improve the current learning environment and maintain the boarding school’s high teaching standards. This was of primary importance to the client throughout the project build. 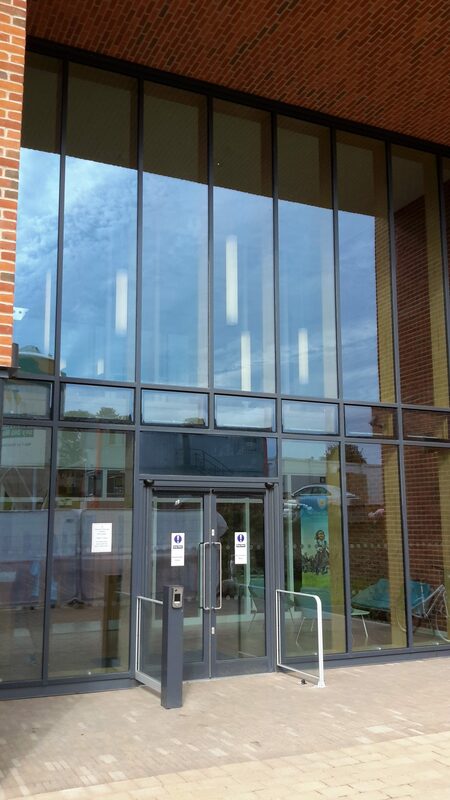 Soundcraft worked on the modern part of the school and was involved in the design, supply and installation of Hybrid composite curtain walling, windows and external doors. The curtain walling used was a combination of SCW Curtain Wall system and the Hybrid Series 3 composite system. 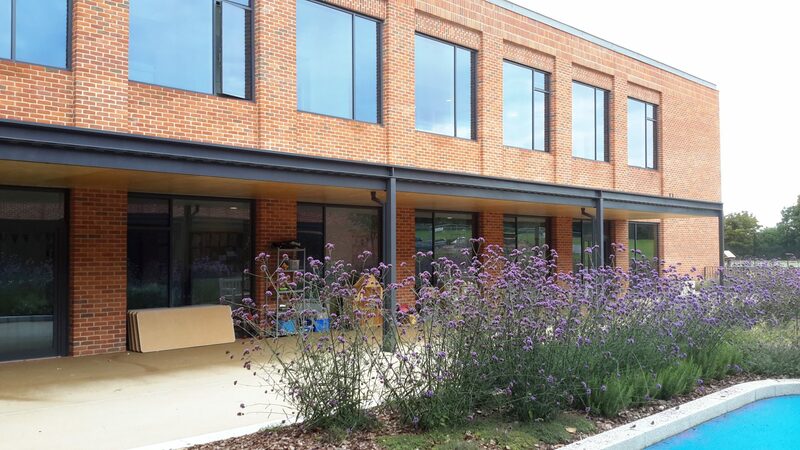 For the kitchen, SCW curtain walling was used in combination with the SCW sloping roof system, whilst robust SD aluminium commercial doors were installed to provide the perfect solution to the school’s high traffic levels. 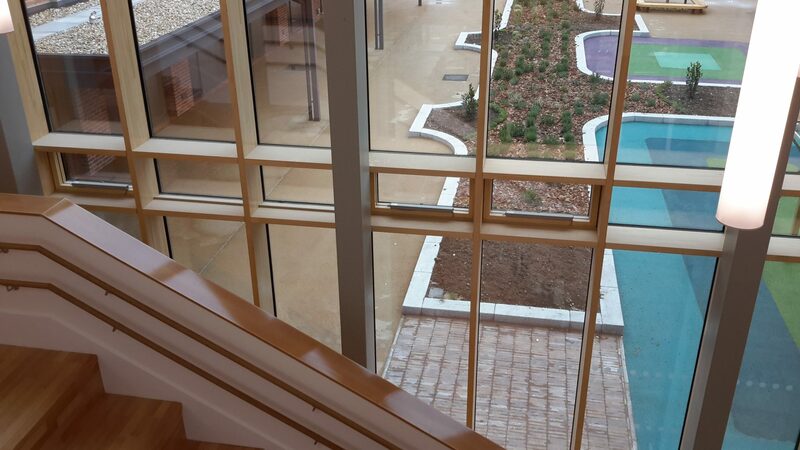 In the main building, Hybrid Series 3 frameless sashes were used in fanlight windows and incorporated electric actuators connected to a BMS system; the actuators open and close according to internal air temperatures in order to cool the building at night. These can also be controlled manually via a manual switch in each classroom. For more detailed information on individual products used within the project, see the projects section below. 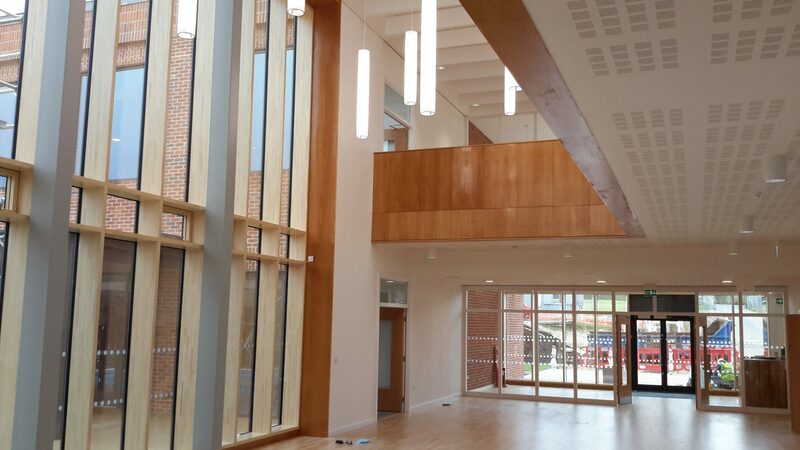 The height of the courtyard and main entrance curtain walling represented a major challenge as the standard 6m engineered timber mullions of the Series 3 composite system were inadequate because a height of 7.5m was required. To avoid potentially unsightly butting together of standard lengths specially manufactured 7.5m lengths, 300mm deep, were sourced to maintain the high aesthetic standard of the Series 1 product. SCW curtain walling is a cost effective, zone drained, pressure equalised aluminium system with slim 50mm sightlines and is CWCT certified. SCW Roof glazing is a high performance, semi-unitised aluminium system, ideal for atrium roof areas where larger pane sizes are required. It’s fully compatible with the SCW Curtain Wall system, allowing a seamless finish between roof and vertical applications. 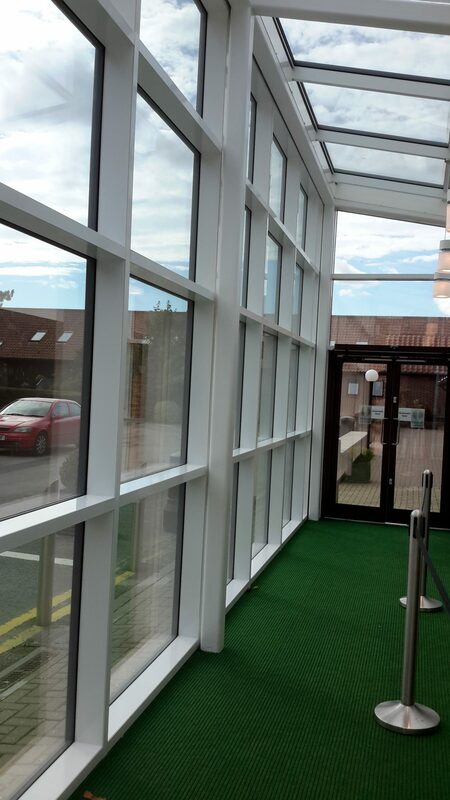 The Series 3 curtain wall is a timber aluminium composite system. It is a traditional stick, compartmentally drained system. 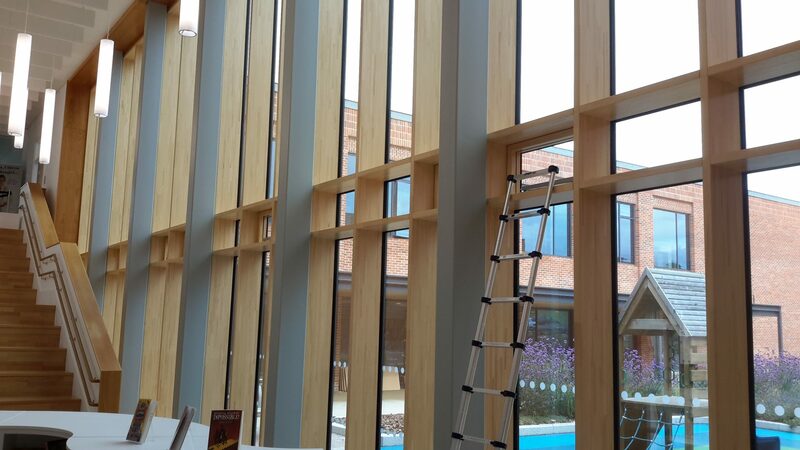 Hybrid combines the long life and low maintenance of aluminium externally, with the high insulation, environmentally focused benefits of responsibly sourced engineered timber internally. The aluminium SD Door is capable of being manufactured in single, double and emergency door types. It utilises low thresholds and a variety of options such as radius anti-finger trap stiles. 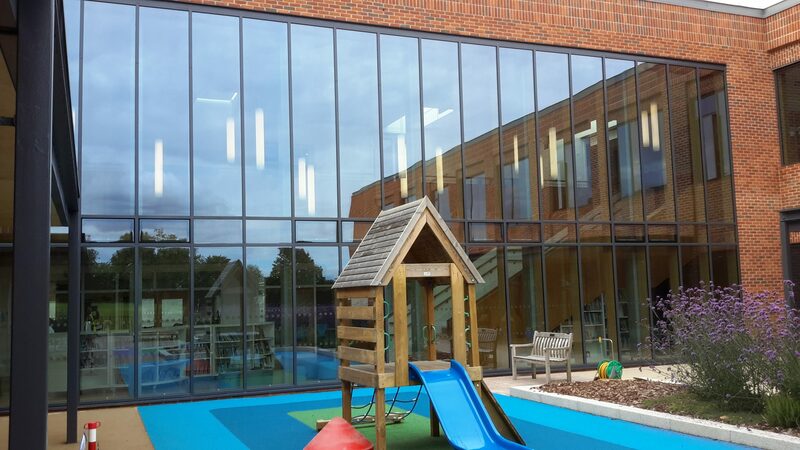 To find out more about using the Hybrid system for a complete package, from standard composite windows to bespoke curtain walling, contact the technical team on 0800 988 1875 or read more of our case studies.